Home Latest The Resurgence Of PR Generalists? Perhaps generalists never really went out of fashion. But PR firms are as susceptible to trends as anyone, and last year's Report Card process (and ultimate Agency of the Year winners) clearly revealed how a preference for specialists were helping progressive agencies capitalise on the dramatic changes in today's communications landscape. That shift, now in full flow at several PR firms, recognised that the traditional agency model might be dead, in favour of structures that grouped people around distinct specialisms: typically, insight, ideas, content and community. If Golin was the first major agency to commit to such a model, many others have followed suit; with Edelman also believed to be working on a major restructuring of similarly grand ambition. As I wrote one year ago: Change is clearly in the air, towards the type of model that reflects both the specialist expertise required and the importance of selling those skills effectively. The days when an agency account handler functioned as planner, creative and media liaison appear to be numbered. And yet, this year's Agency of the Year meetings, of which I have now sat through more than 30, suggest that the demise of the generalist may have been exaggerated. Indeed, at some firms, the pendulum appears to be swinging back towards broader skills. Witness Waggener Edstrom, which saw its content production executives depart to form their own business last year. "We still have a good number of specialists on staff, but that number is much less than it was, and we’ve upped the freelance specialist reach," says WagEd EMEA GM Chris Talago. "One of the challenges we’ve found is that commercially predicting the revenue stream is very difficult as it’s very project driven. Bearing that risk becomes a non-starter." Clearly, specialists are of critical importance; these days you would be hard-pressed to find a good PR agency that doesn't have access to content marketers, web designers, app builders, data analysts, video producers, media experts and more. "We have spent a lot of time being proud of being multiple generalists," says Ogilvy PR CEO Stuart Smith. "Creating ideas, the programme, the billing. The PR industry in general is having to wake up to the fact that we really need to micro-specialise in different areas." But having those specialisms is one thing. Selling them, and understanding how to deploy them effectively, is another altogether, and it is here where the oft-maligned PR agency generalist has demonstrated an enduring capacity for reinvention. So while client servicing executives might decline in number, those that survive are no less important to their agencies' success. Indeed, they look set to become even more pivotal, given the manner in which their own skills are adapting. In particular, they require a deep enough understanding of all of the areas described above to know when and how each is required for a specific client. "Account handlers must facilitate and understand everything," notes Kaper founder Chris McCafferty, whose firm sits within the Karmarama marketing services group, bringing access to a variety of specialist services. "You need to know what is possible, even if you don't know exactly how to do it," adds Shine MD Lawrence Collis. Rather than the coffee-making caricature that has sometimes bedevilled account 'suits', think of today's client servicing stars as the connective tissue that enables agencies to shine, while managing complex client relationships. PR firms have something of an advantage in this regard, as their staff have often been called upon to do multiple tasks, and collaboration comes relatively easy. "You get into a combination of trust and influence — you’ve got to be able to consult but also know enough to sell it," says Talago. "What is this thing called programmatic advertising? You have to understand the application and be able to give a couple of case studies of where it’s worked well in the past." So while generalists might be resurgent it's worth noting that these are not the traditional account handlers of PR convention. "The world is moving towards specialists. 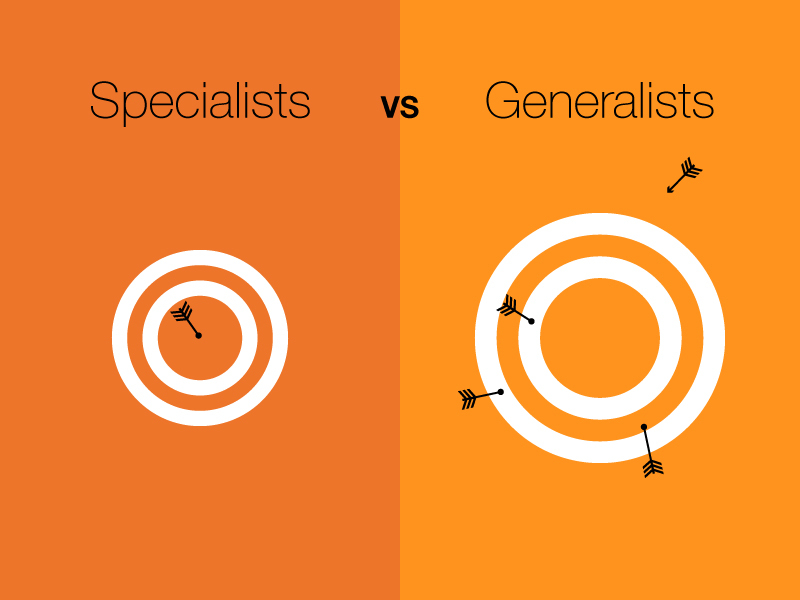 But generalists are redefining themselves as marketers and orchestrators. "—MMC EVP Diana Littman-Paige. The situation calls for more 'T-shaped' account execs, people who have breadth as well as specific depth in a certain area. "There’s a general upskilling of shallow skills, which will benefit them," points out Hotwire CEO Brendon Craigie, who notes that increasing adoption of technology need not pose a threat to the best generalists. That's because Craigie sees three areas where generalists add specific value. The first involves being able to analyse patterns and discern trends; the second calls for the ability to come up with ideas; and, the third requires a mastery of complex communication. "Those three things are what generalists do brilliantly," says Craigie. "We need to put more of those qualities on a pedestal. And give those people more power." The traditional PR agency model might be dead, and so too the traditional generalist. In some firms, they are being rechristened as 'strategists'. It is a "critical role", says Edelman APACMEA CEO David Brain, who argues that they should be viewed as "specialists, not generalists." Yet, whatever they are called, and however trends dictate, it seems clear that smart account handlers remain a very valuable commodity among successful PR firms, even as specialty skills take center-stage. As ever, a blend that recognises the best of both appears optimal. "The world is moving towards specialists," is how MMC EVP Diana Littman-Paige puts it. "But generalists are redefining themselves as marketers and orchestrators." The London In2 Innovation Summit will explore these trends and more in detail. Book your place now.